“It is all driven by the Cloud," he said. "It all lies within a company’s strategy. "Are they rewriting the rules when it comes to Cloud or are they optimising today’s systems to the next level? We need to create new, competitive forms of differentiation." 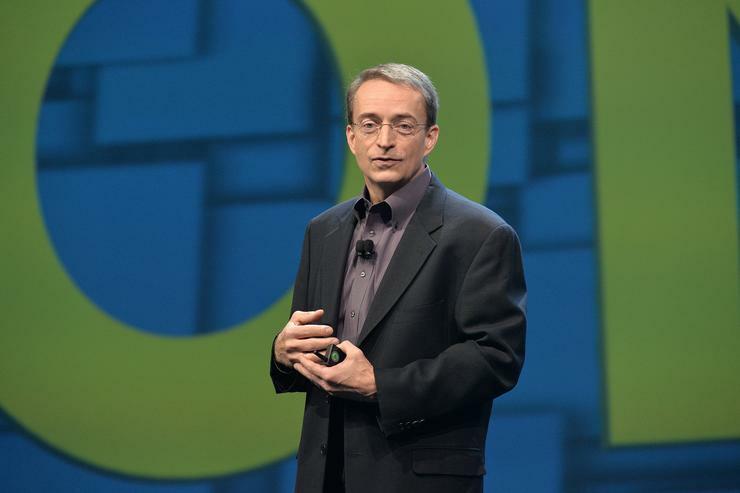 Gelsinger was speaking at a keynote session during VMware’s VMworld 2016 conference in Las Vegas. As part of VMware’s evolving Cloud strategy, the company has unveiled Cross-Cloud architecture that provides Cloud freedom and control. This is an extension of the company’s Cloud strategy, enabling customers to manage, run, connect, and secure their applications across Clouds and devices in a common operating environment. In addition, it previewed its Cross-Cloud services are new SaaS-based services to manage, govern, and secure applications running in private and public Clouds, including the big public Clouds of IBM, Microsoft Azure, AWS, and Google. The release date for Cross-Cloud services is yet to be announced. It has further developed its VMware Cloud Foundation, a unified software-defined datacentre platform that simplifies the lifecycle management if private Cloud infrastructure. It is now available as a new “as-a-service” option. The company has also announced new services for vCloud Air and vCloud Air Network. Specifically, it revealed vCloud Availability for vCloud Director and vCloud Air Hybrid Cloud Manager. Existing VMware customers moving on to the new licensing model will not be at a disadvantage. VMware Cloud Foundation accepts pre-existing licenses for VMware’s vSphere, Virtual SAN or NSX solutions and there will be tools provided for customers to move from one to the other. “As Cloud takes root, IT becomes more cost effective and more accessible," he added. “Our Cross-Cloud architecture is all about freedom versus control in a period of dramatic change. Users want freedom of choice, but there also needs to be some level of security and compliance. According to Gelsinger, the move was made to support as many Clouds as possible. Gelsinger said VMware is in a “good position” to move into this cross-Cloud space. “There are multiple problems businesses face – some businesses have trouble selling it, others are at the early stages of adopting the public Cloud or they struggle to build their own salesforce. “VMware already has an established customer base. Also, it is easier for us to build this platform more quickly – we have the resources and assets," he added. Gelsinger added that there are many more Cloud providers than just the big four – IBM, Microsoft, AWS and Google – and that many of them are built on VMware technologies as their core technology provider. “This is a huge market opportunity," he said. "VMware’s unique position in this industry will allow it to be the neutral provider of services. "The VMware of the past was about providing hardware freedom, while the VMware of the future is about providing Cloud freedom." UPDATED: VMware integrated business unit vice-president and general manager, John Gilmartin, said the company’s Cloud Foundation will help partners compete. “This is a powerful proposition for customers who are trying to move from a CAPEX to OPEX model. VMware is also making changes to its programs to increase incentivisation within these areas. “We want to provide partners with all the tools and training possible to be successful. We have made significant changes to our Advantage Plus program to reward the investment that you’re making in these new solutions,” he added.